Can you have too much of a good thing? When it comes to The Drystones, the answer is surely a resounding NO! 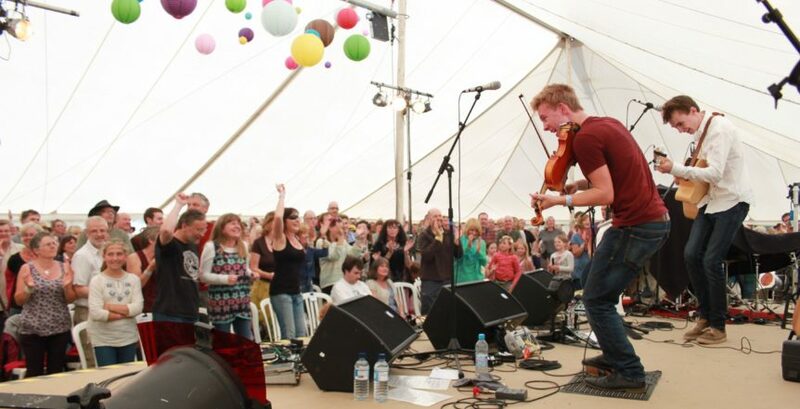 The Priddy duo will be playing their home-village festival again this year, and for many, Priddy just would not be Priddy with out Ford and Alex doing their stuff. The boys have already had and incredible career, making their Priddy debut while still teenagers, watched and whooped by thousands at the one and only Glastonbury Festival, nominated at the BBC Radio 2 Folk Awards, recording two highly-acclaimed albums and touring the UK. All this and completing their university degrees at the same time. 2019 promises more of the same, a new album, and the promise of something special for their favourite festival. It feels like a home-coming… because it is! Click here for a fantastic video! And so to another welcome return. A couple of years ago we were lucky to have The Hut People at Priddy and those fortunate enough to catch them that night were treated to a set of unremitting laughter and joy, not to mention musicianship of the highest order delivered on instruments that were out of the ordinary, to say the least. 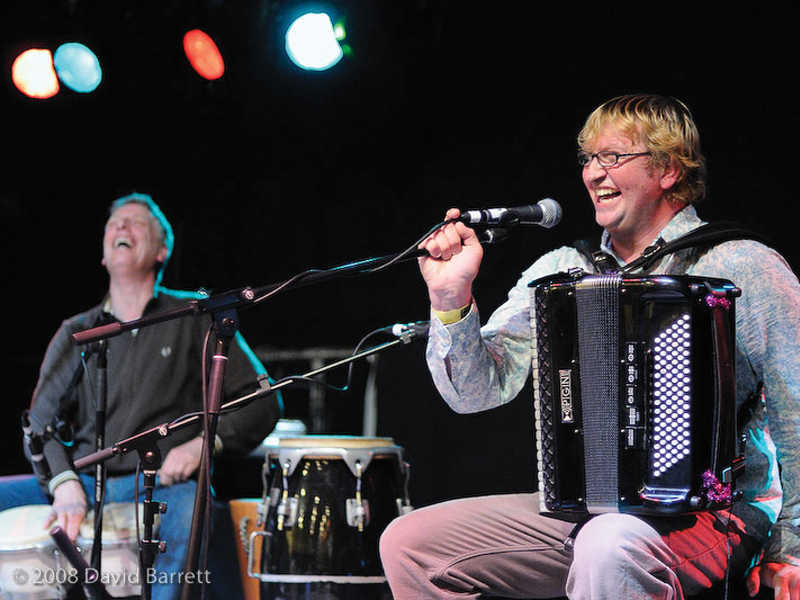 Mixing global rhythms with folk tunes from Quebec to Spain, Scandinavia to Sussex and everywhere in between, The Hut People ( (Sam Pirt and Gary Hammond) deliver a quirky celebrationof our rich musical heritage – and it works! Their fourth album, Routes, released in 2017 is like a round-the-world trip in music and their infectious humour and irresistible rhythms are sure to get you dancing. 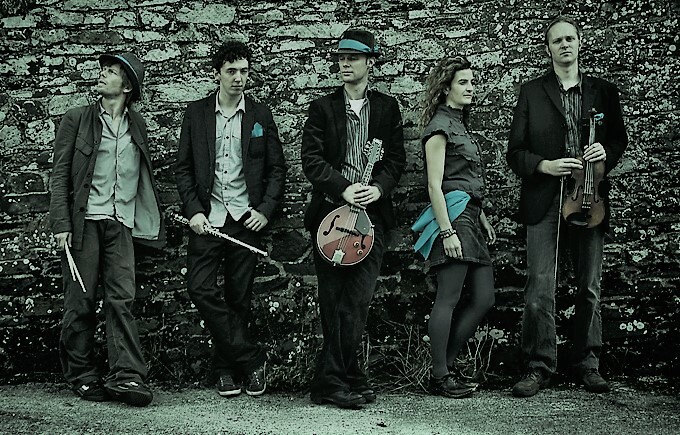 Gadarene are another band who we a delighted to welcome back to this year’s Priddy Folk Festival. Gadarene take music from all eras, including today’s, and mash it up into a glorious soup which is hard to define but is delicious all the same. Which is a noble quest indeed. Here they are recorded at Priddy in 2014.